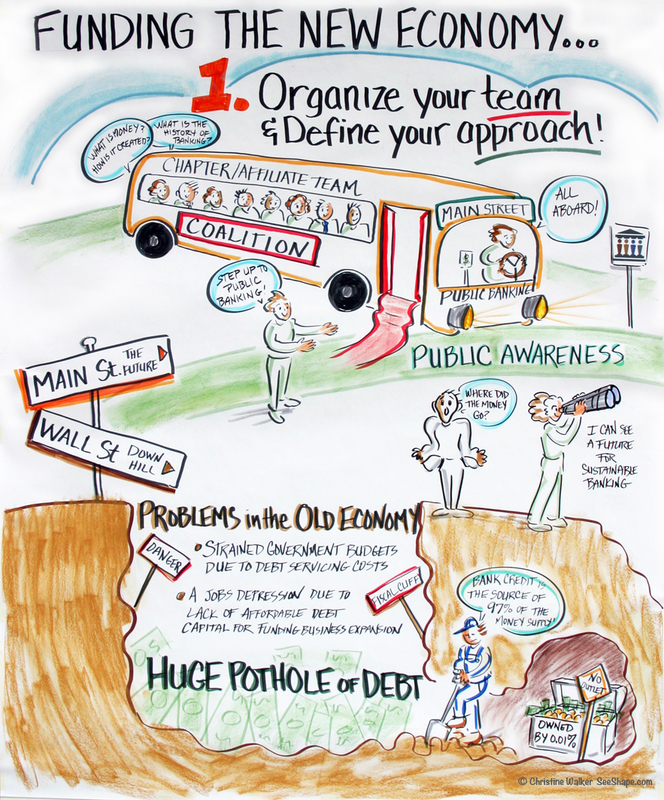 A dynamic conference hosted by the Public Banking Institute and the Green MBA Program took place at Dominican College in San Rafael, California, on June 4, 2013. 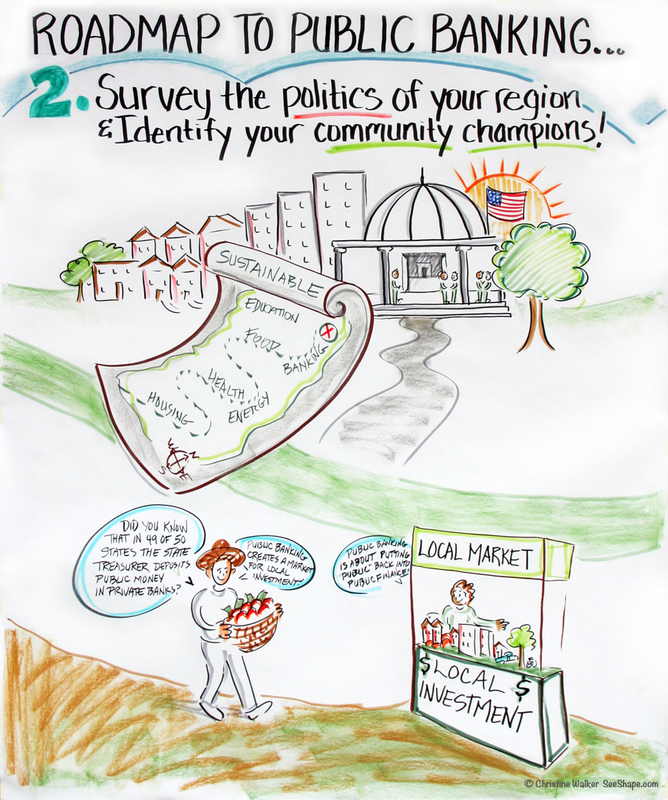 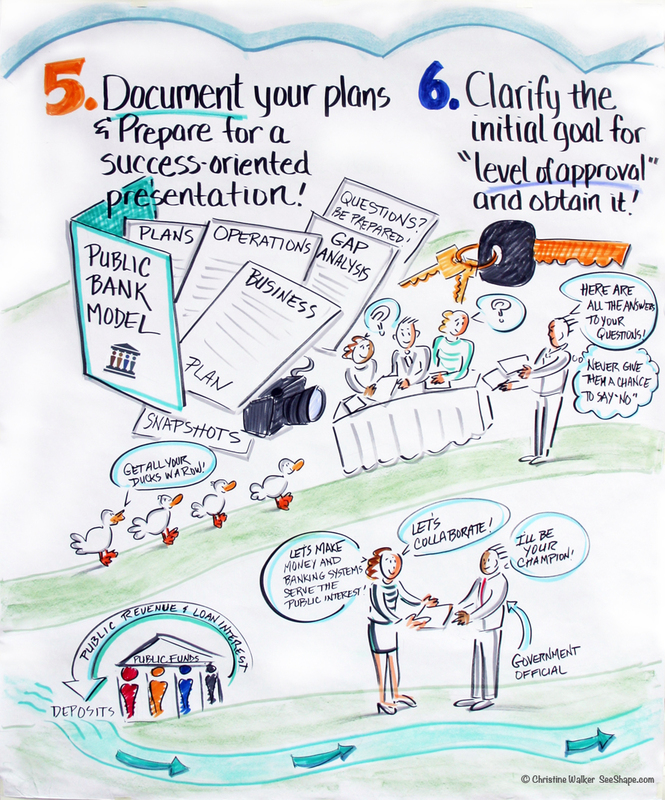 The mural by Christine Walker captures the 7 Steps of the process in helping to get a public bank established in your community. 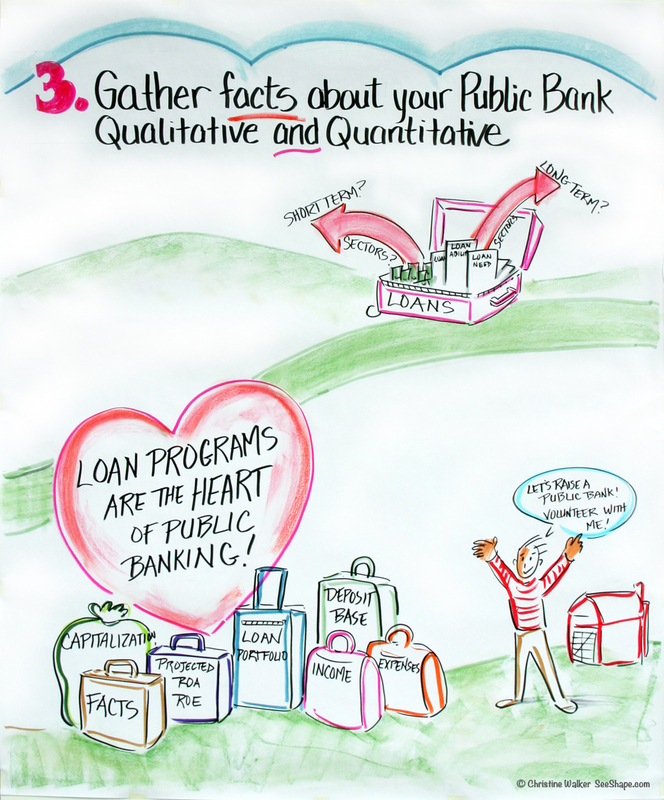 The steps were articulated by Marc Armstrong, Executive Director of the Public Banking Institute, and Harry Ohls, Systems Solutions consultant. 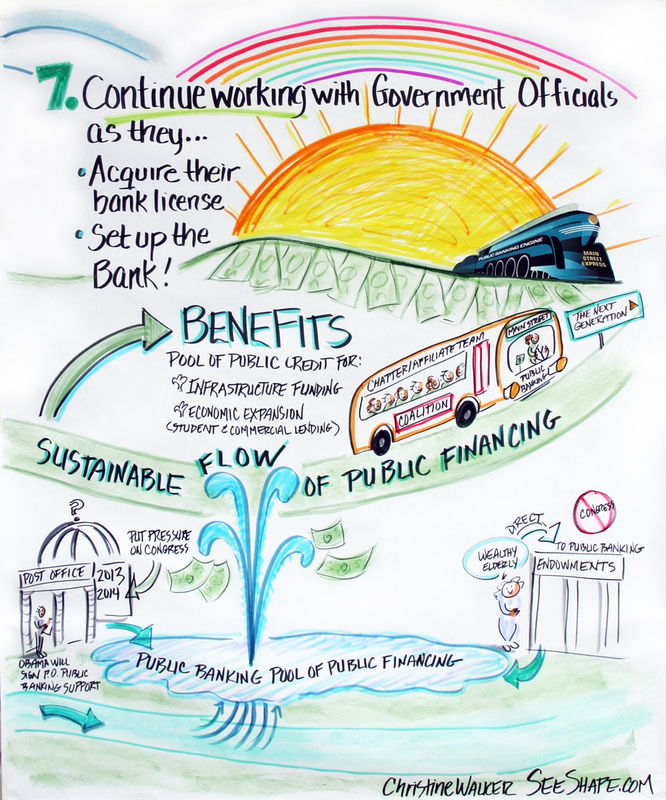 Public Banking puts the “public” back in public finance and benefits communities by providing capital for lending and local investment.